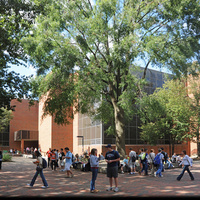 Strickler Hall provides classroom and auditorium space, facilities for the REACH program, and offices for the Department of Pan African Studies. This was a superb presentation, sadly cut off too soon w hen the power went out! She was really great. I cried and cried when I heard her stories. I learned many things. She touched my feeling strongly. Wonderful presentation. What a story of courage and survival!